The Stevens Institute of Technology story begins with Colonel John Stevens III (1749-1838). Educated at King's College (the forerunner to Columbia University), Stevens was later appointed a captain in George Washington's Continental Army. Promoted to the rank of colonel, he collected taxes as teasurer of New Jersey for a time. After the Revolutionary War, he purchased the entire plot of land comprising present-day Hoboken during a public auction, then began developing both that land and an idea that steamboat ferries could one day connect the farmlands and townships of New Jersey with busy lower Manhattan. Col. Stevens built a steamboat, the Phoenix, to carry both passenger and freight service — racing rival inventor Robert Fulton, who was also testing a competing steamboat along the Hudson. Stevens took the Phoenix to Philadelphia by a combination of river and sea, becoming the first in history to operate a steamship on the open ocean. In 1811, Stevens purchased a commercial ferry license in New York state and began operating a new horse-powered ferry from Manhattan while he and his inventive sons began testing a new vessel, the Juliana, which would soon become the first commercial steam ferry in the world. It wasn't long before a fleet of new ferries, utilizing a “screw” ferry design perfected by Col. Stevens' son Robert, were operating successfully, crossing the Hudson dozens of times each day. Having successfully established transport on river and sea, the family next looked inland. Robert Stevens his brother Edwin turned their attention to realizing their father's dream of establishing a commercially successful railroad, the first in the new nation. Col. Stevens and his sons engineering and built a prototype locomotive in 1826 on a circular track on the site of the present-day Stevens Institute of Technology campus, demonstrating the first American-built locomotive. Building on that successful test, the family constructed an overland rail line from Perth Amboy, New Jersey to the state capital in Trenton, where passengers could then transfer to steamboat service down the Delaware River to Philadelphia. The total trip required only 10 to 11 hours' time from Manhattan, cutting several days off the previous journey by horse. On a trip to England, Robert was struck by inspiration once again. Crossing the Atlantic, he sketched designs for improved tracks and conceived of the T-rail (also known as a flange rail), which has since become the predominant form of railroad track used worldwide. Later Robert also invented the hook-headed spike and, to ease the passage of trains through the wildlife-filled American countryside, the first cowcatcher attached to the front of trains. Another Stevens son would also make a lasting mark in transportation history. The oldest of Col. Stevens' sons, John Cox Stevens, was a sailor and founding member of the New York Yacht Club. With the assistance of his brother Edwin, John Cox Stevens built the yacht America and sailed to England in 1851, issuing a challenging to all comers. The Stevens brothers handily defeated the Royal Yacht Squadron in a race around the Isle of Wight, receiving an elegant silver cup as a trophy. Queen Victoria set foot on the yacht the next day to congratulate the Americans, while back home the victory was widely celebrated. Later, the Yacht Club created a permanent challenge to foreign yacht clubs — the international competition known today as the America's Cup. After a lifetime of technical innovation, Edwin Stevens passed away in 1868 while on a trip to France — but he left a final gift: a generous bequest of land, funds for construction, and an endowment, along with instructions to trustees to create a new institution of higher learning. 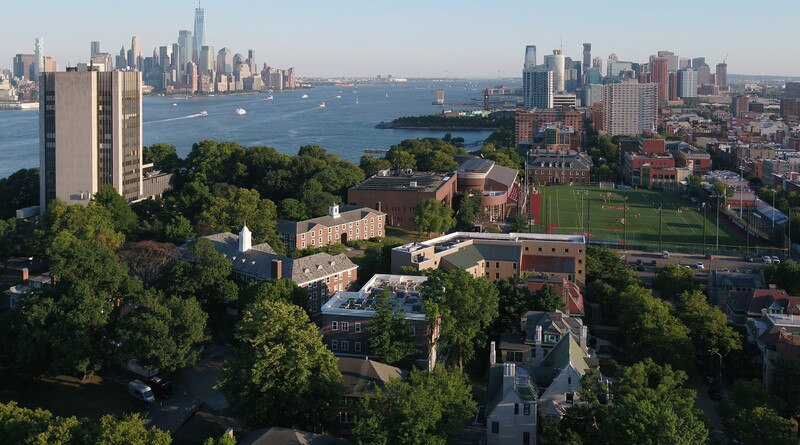 Stevens' appointed trustees erected Edwin A. Stevens Hall, hired new President Henry Morton to create a curriculum blending technical education in engineering and the humanities, and opened the doors of Stevens Institute of Technology in 1870. In so doing, Stevens became the first institution in the U.S. to offer a degree in mechanical engineering, completing the circle Col. John Stevens had begun drawing as a talented inventor one century earlier when he had written of his hope that his estate would one day be home to an academy. Today, the university carries forward the Stevens family's remarkable legacy of invention, innovation and inspiration.